This precious vintage style white cotton smocked dress with pink hearts is made by Marco & Lizzy, a leading manufacturer of classic smocked children's clothing. 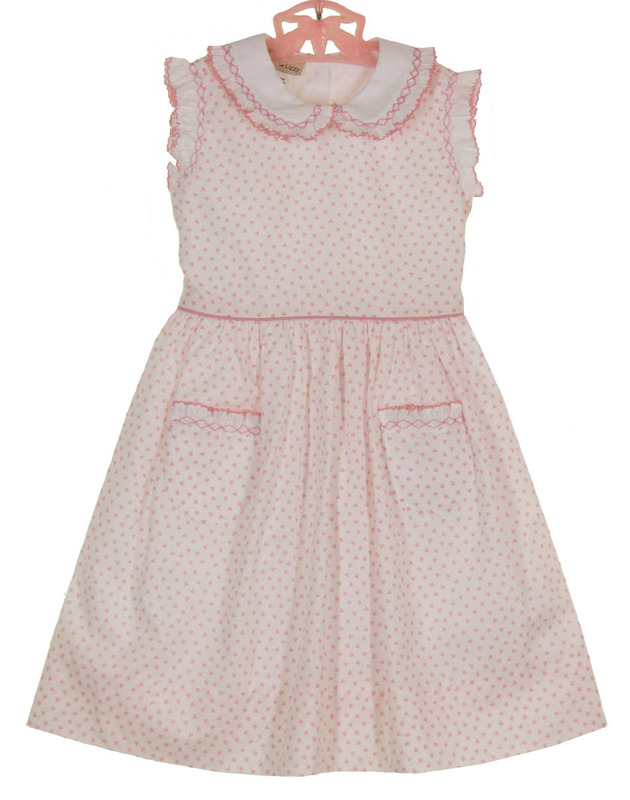 Perfect for Valentines Day, Easter, and all summer long, this dress has a natural waisted bodice with a gathered skirt. 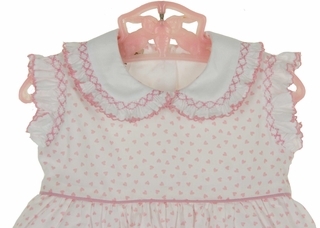 Pink smocking and a ruffled edge trim the white collar, flutter sleeves, and front pockets. 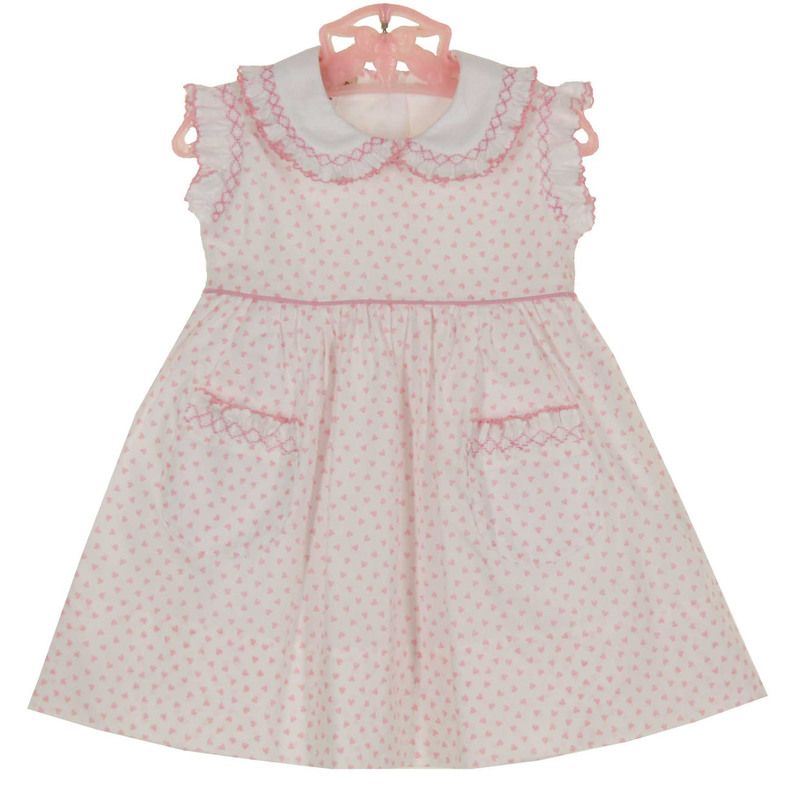 Fully lined, the dress has a back buttoned closure and back sash tie. 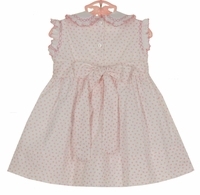 Matching baby dress and sunhat are also available. This sweet dress also comes in blue. See below. Grammie's Attic has the largest selection of baby girls' classic clothing and toddler girls' classic clothing, and little girls' classic clothing you'll find. 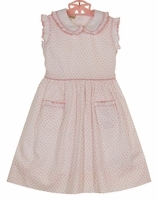 Be sure to see all our beautiful dresses and outfits for portraits, parties, birthdays, and special occasions for your little girl from all your favorite manufacturers, including Polly Flinders, Feltman Brothers, C. I. Castro, Will'Beth, Petit Ami, Carriage Boutiques, Sarah Louise, Garden of Angels, Good Lad, House of Hatten, Rosalina, and many more.